Inline Preview is a plugin for WordPress that adds a zoomed out preview of the current post next to the post editor when the user clicks Preview instead of opening in a new tab. There’s a close button in the upper-right of the preview, and the preview frame is resizable by dragging its left edge. 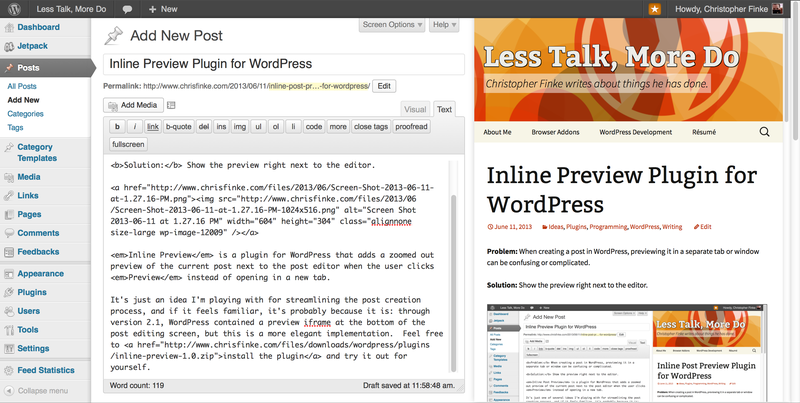 The new width of the preview is persistent each time it opens, even across pageloads. Install the plugin and try it out for yourself.